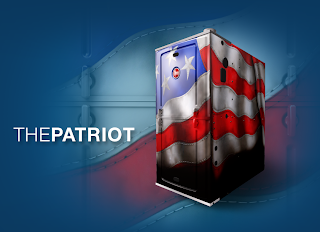 Call Litton Brothers to see how to order the Patriot ... and others! Rheem introduced its 90%+ Gas Furnace platform, which is available now under the Rheem and Ruud brands. The new furnace platform has efficiencies exceeding 98 percent AFUE, improved electrical efficiencies, and reduced operating sound by up to 20 percent. Rheem also designed a unique heat exchanger assembly that provides up to 1 SEER point boost for the entire HVAC system efficiency. These new gas furnaces employ direct spark ignition system, which has proven to be nine times more reliable than earlier generations of hot surface ignition—the same system used in commercial HVAC products. Rheem is the only manufacturer employing direct spark ignition on residential heating products. The units also feature Rheem’s patent-pending Blocked Drain Sensor, which detects a blocked drain and then shuts off the furnace. The contractor can see a unique diagnostic code when this occurs. The Blocked Drain Sensor is factory-installed, and configured for all orientations—up-flow, down-flow or horizontal left/right-flow, meaning there’s no need to relocate pressure switches or related tubes or field conversion required during installation if the furnace orientation needs to be changed. From a serviceability perspective, Rheem added a 7-segment LED display on all furnaces in the 90%+ line, which will aid technicians on any necessary service calls. An industry-first, the 7-segment LED display is alphanumeric, so contractors can reference an easily readable error code. Ultimately, this feature arms contractors with faster and more accurate diagnostics, reducing the time spent on service calls and eliminating potential callbacks. Plus, with the flip of a dipswitch, contractors have the ability to rotate the LED a full 180 degrees for down-flow applications so the display can be viewed upright in most scenarios. 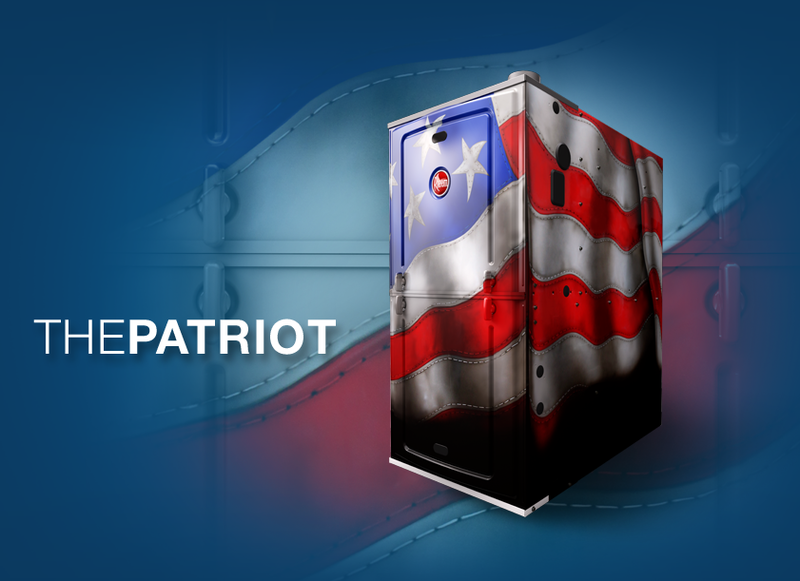 Rheem has also integrated its exclusive EcoNet™ technology into certain models within the 90% Gas Furnace platform. EcoNet is a new user interface that will facilitate future connectivity, monitoring and controlling of Rheem and Ruud air conditioning, heating, water heating and pool heating systems – all from a single access point. The new 96 percent AFUE variable speed and 98 percent AFUE modulating gas furnaces are EcoNet ready right out of the box. With these units, contractors will have the ability to obtain text-based messages about system health and conditions via the home’s EcoNet thermostat. Rheem developed this product using its 360°+1 product development philosophy, which involves the Rheem product development team evaluating every detail of a product from top to bottom, inside and out, and everything in between. The team also gets valuable feedback from customers, and then goes about designing a product that promises features that will facilitate better installations and maintenance while giving homeowners the best performance and user experience. Four-Way Multi-Poise Design allows contractors to install the units up flow, down flow, or horizontal left/right. Pre-Marked Condensate Hoses help contractors know exactly where to cut the hoses when converting the furnace from one configuration to another to ensure proper draining. Self-Priming Drain Trap, which automatically primes on first startup and every year after at seasonal start up. Rheem also relocated the drain trap from the blower compartment to the burner compartment—thereby eliminating the need to move the trap while servicing the blower and reducing the risk of the trap freezing. Removable Heat Exchanger makes servicing this important element go much faster. Quarter-Turn Door Fasteners enable contractors to access the unit without tools or hassle. Hemmed Edges provide a valuable safety feature so contractors can lessen the risk of bumps or scrapes when servicing units. This feature also delivers a better seal while improving structural integrity. Ruud, part of the Rheem family of brands, will also offer a 90%+ Gas Furnace platform, and its line will include these same features designed to improve performance, service calls and installations. Rheem and Ruud versions of these products are available now in the U.S. and they will launch in Canada later in the third quarter of this year. 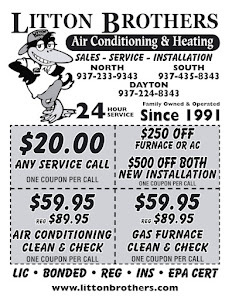 In the U.S., a $150 federal energy efficiency tax credit is available for qualifying furnaces. Rheem.com and Ruud.com both offer a list of ENERGY STAR-qualified products. The federal tax credit is available through the end of 2013. 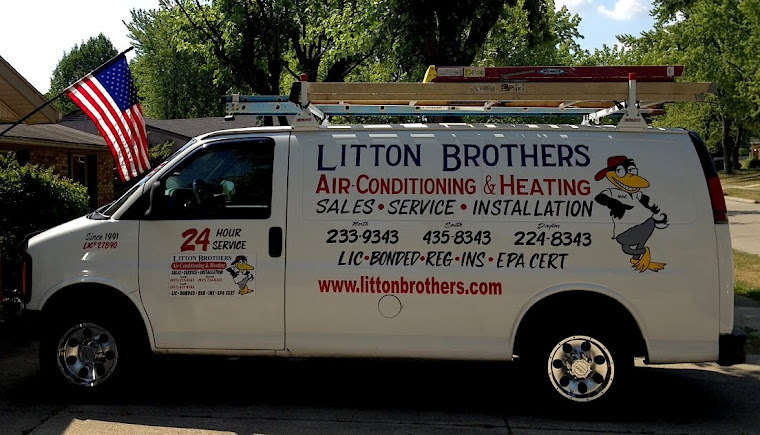 For more information on the new 90%+ Gas Furnace platform, visit www.MyRheem.com/360 or www.MyRuud.com/360, or contact Litton Brothers Air Conditioning & Heating.